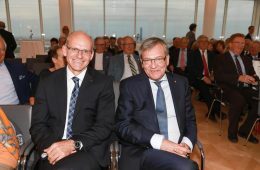 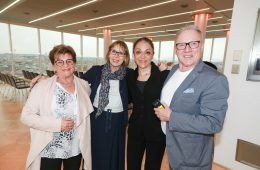 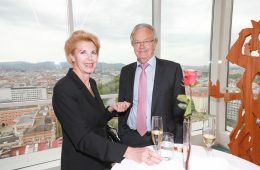 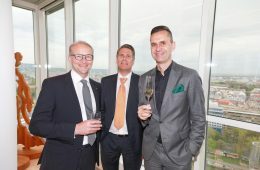 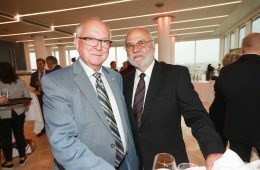 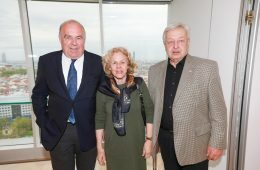 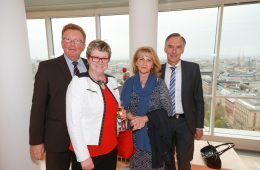 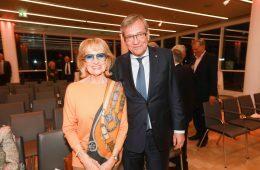 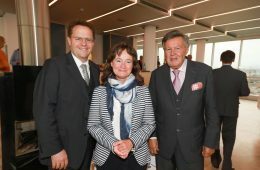 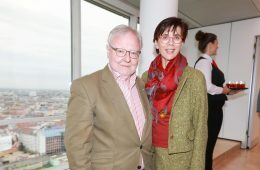 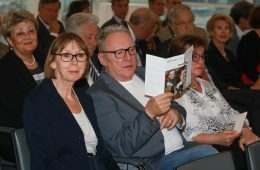 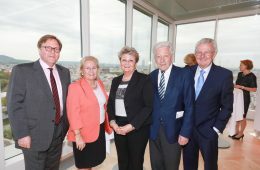 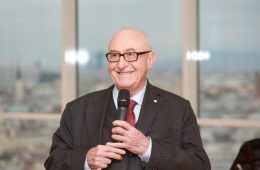 On 16 April 2018, Günter Geyer, Chairman of the Managing Board of Wiener Städtische Versicherungsverein, welcomed a specially invited audience to an evening of musical entertainment with Jasminka Stančul and Christian Altenburger. 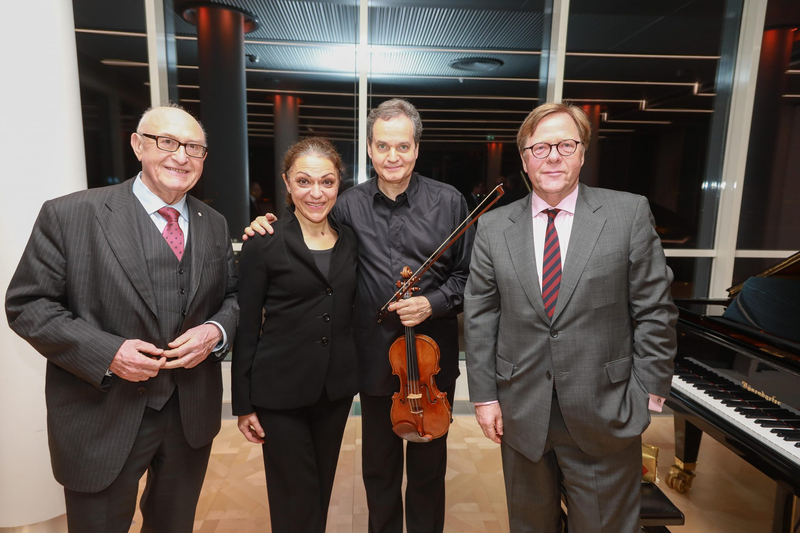 The Ringturm plays host to the very best in classical music! 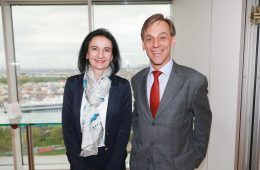 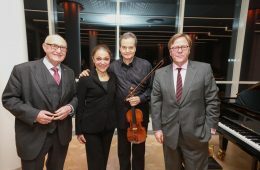 Music stars Jasminka Stančul and Christian Altenburger kept the audience spellbound with a rousing programme from two celebrated masterpieces by Ludwig van Beethoven, “Spring” and “Kreutzer”, staged as part of Wiener Städtische Versicherungsverein’s Kunst im Turm series. 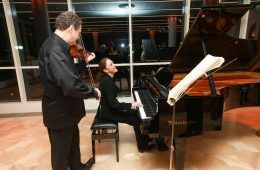 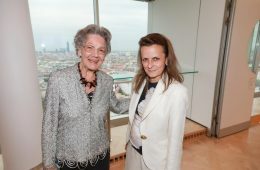 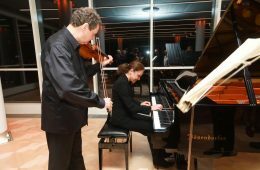 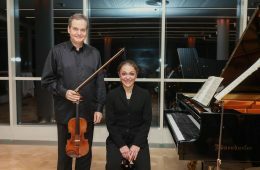 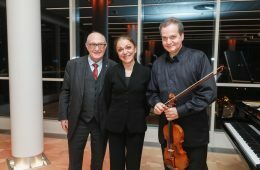 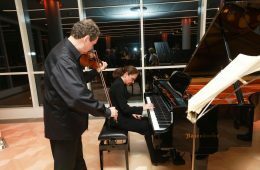 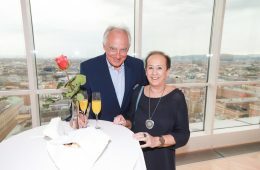 The two sonatas took everything out of Jasminka Stančul on piano and Christian Altenburger on the violin, and their performance earned thunderous applause at the venue high above the rooftops of Vienna.